One would typically review a museum exhibit right as it opens. However, as luck would have it, I got to see the Victoria and Albert Museum’s Pink Floyd: Their Mortal Remains in its final week. And I am glad that I did. It was simply the best music related museum exhibit I have ever experienced. The basic layout was simple. The exhibit was laid out chronologically and thematically. Each room focused on one album and all the stuff around it; the tour, pop culture at that moment, and the personal stories from members of the band. Your guide was your ears. Every guest was given a Sennheiser Bluetooth head set where the soundtrack seamlessly blended from one exhibit to another as you wandered about. Finally, it was the artifacts. There was something for everybody, whether it was a set piece, a historic artifact, a video, or an art object inspired by the band. Over the decades, Nick Mason, Pink Floyd’s drummer and unofficial historian, had the presence of mind to document the band’s endeavors and to archive hundreds of items. 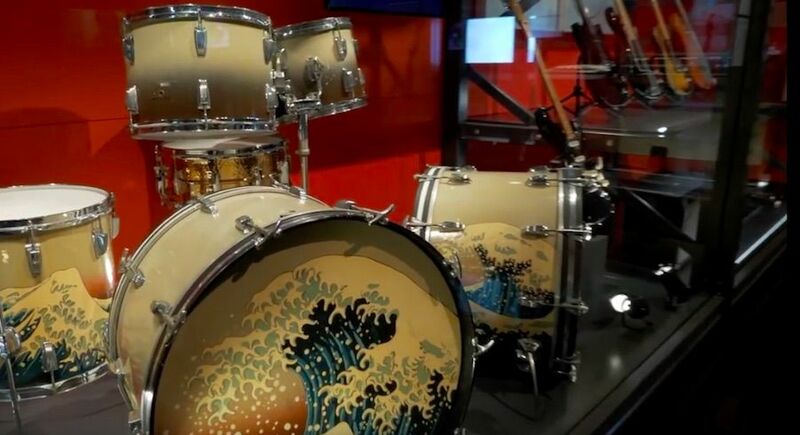 When the band was first asked about a museum exhibit, Mason thought there would not be enough to fill an exhibit. He was wrong. There was so much stuff not everything could be included in the sprawling exhibit. 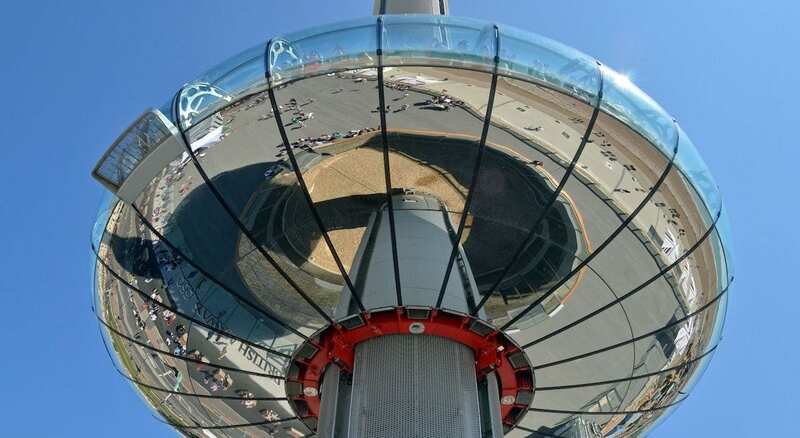 The exhibit took up more than 1,580-square meters with over 350 artifacts and objects. Many of the items had never been seen before. Pink Floyd: Their Mortal Remains was designed by creative director Aubrey “Po” Powell based on a concept initially conceived by the late Storm Thorgerson. Rolling Stone magazine interviewed Powell who said, “It’s got to be the biggest exhibition anyone’s every put on, in the same way the stage shows are. 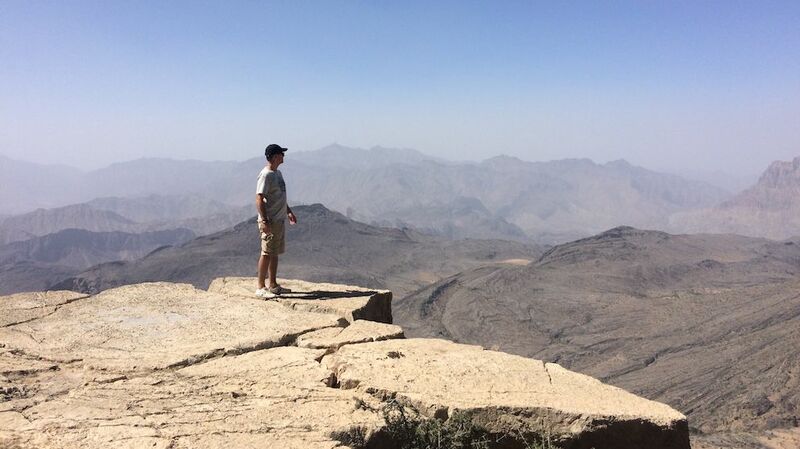 It had to be of that dimension ‘ otherwise there was no point in doing it.” Powell certainly achieved his goal. The exhibit began 50 years ago, at the UFO Club in London, site of Pink Floyd’s ground-breaking surround sound performances. You entered walking through a giant replica of Pink Floyd’s Bedford van painted with a white stripe down its side. Inside, was a psychedelic display that immediately sets the tone for the band’s early work. Each of the 10 zones at Pink Floyd: Their Mortal Remains immersed you into the world of Pink Floyd. The Introduction and On the Highway were focused on the band’s early days. Engineers in Experimentation highlighted the perennial best-selling album The Dark Side of the Moon. In The Dark Side of the Moon section, visitors can mix their own version of the classic song Money. There was also a 3D projected recreation of the refracting prism on the album cover set to The Great Gig in the Sky. Moving on, the Sonic Invention and Punk v. Pink rooms detailed the story of the Wish You Were Here and Animals albums. One thing that stood out was the amount of trouble Pink Floyd, Aubrey Powell, Storm Thorgerson, and the folks at Hipgnosis went through to produce the iconic album covers. Yes, let’s really set a guy on fire in a business suit and have him shake hands with another guy in a business suit. Yes, let’s float a real giant pig inflatable over an old power plant and take a photo. Of course, if the pig escapes (which it did) let’s hope it does not fly into a plane trying to land in Heathrow. 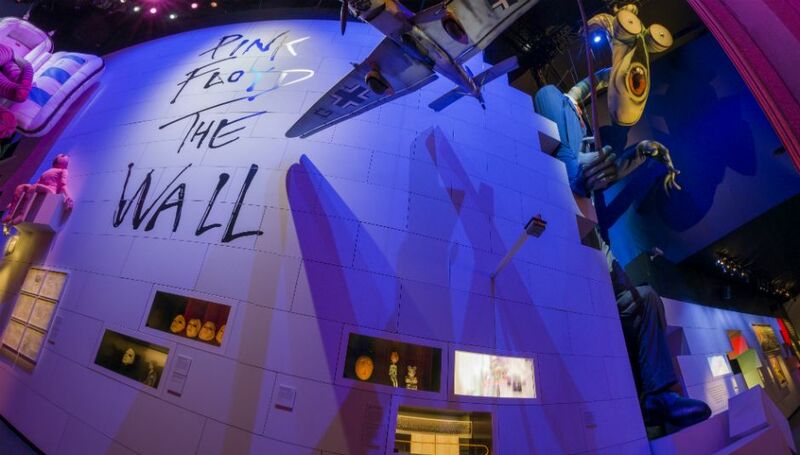 Pink Floyd (exhibition) on tour? Turning the corner visitors then entered the Architects of Rock room. This featured stage pieces, the giant inflatables, and technical drawings from the monumental tour for The Wall. For those who witnessed these spectacular shows this room will bring back fond memories. For those who missed those shows, well, bummer (including me). They must have been amazing. 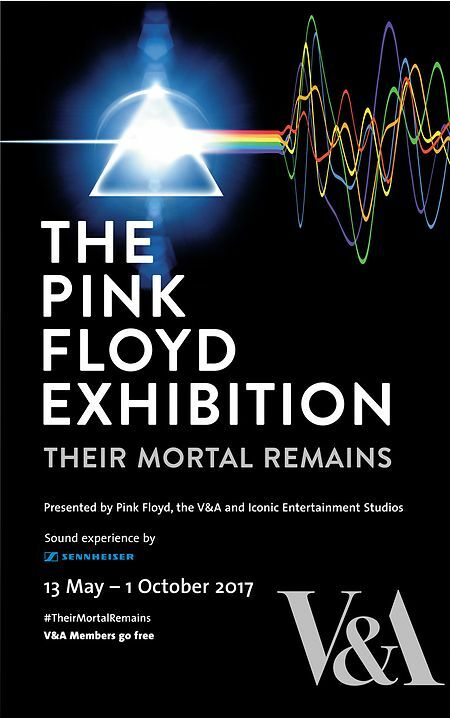 Pink Floyd: Their Mortal Remains continued in the It’s What We Do and Touring the World rooms. 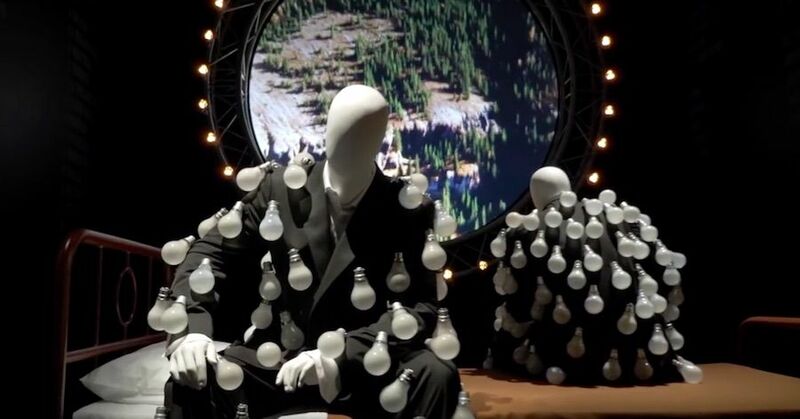 The latter featured the famous light-bulb suits used on the cover of A Momentary Lapse of Reason. The last room was No Turning Back and it and dealt with the band’s final two albums. These were The Division Bell and The Endless River. Although the artwork is fascinating, neither of the two albums have made a major impression on the public. Instead of ending on a downer, there was one final act in this show. The final room was called The Performance Zone and featured a 10-minute reel of the band’s early days. This led to a live rendition of Comfortably Numb recorded in 2005. The music is delivered in surround sound with laser and lighting effects. A satisfying ending to an excellent exhibit. Pink Floyd is one of the most British of British bands. A show in London made a lot of sense. The show opened on May 13, 2017 and ended its extended run on October 15, 2017. There is also talk that this enormous show was designed to tour and my hope is that it will make it to the States. I’d go again. I would like to thank the Museum for providing tickets.